So you spent a lot of resources creating a landing page and writing a killer piece of content for lead generation purposes, but are you getting the most mileage out of it? Whether it’s a whitepaper, an eBook, or a webinar, there are dozens of ways to take that content piece and repurpose it for maximum effectiveness. Create a Slideshare presentation. Pull the copy from the whitepaper, eBook, or webinar and put it into a PowerPoint presentation. Upload the presentation to Slideshare then share it on your social media channels. Create a blog series. Use the copy from the original piece of content to create a blog series. If you dissect the content into categories and write more detailed descriptions in your blog posts, you can keep people coming back for more. Again, make sure you share these blog posts through your social platforms. Create a Pinterest board. Create images that visually represent the different categories of your cornerstone content piece. Share these images on Pinterest and make sure you add links to your Slideshare presentation and the blog series you’ve created. Create a checklist. Most cornerstone pieces of content are instructional or explaining how to do something well. Turn the content into a checklist that people can use as a reference guide. 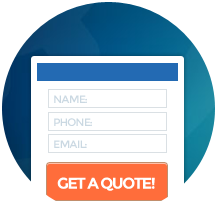 Why not take this one step further and make it a downloadable document that requires contact information? There you go – another source of leads. Create an infographic. Infographics are great because they are easy to digest and highly “sharable” through social media. Create an infographic that explains your content piece in the simplest way. Don’t forget to add the infographic to Pinterest and other social channels for maximum reach. 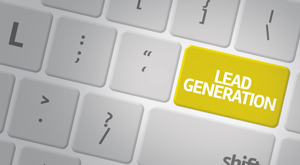 If you are looking for multi-channel lead generation solutions, contact WebiMax today. Email Us Get In Touch!